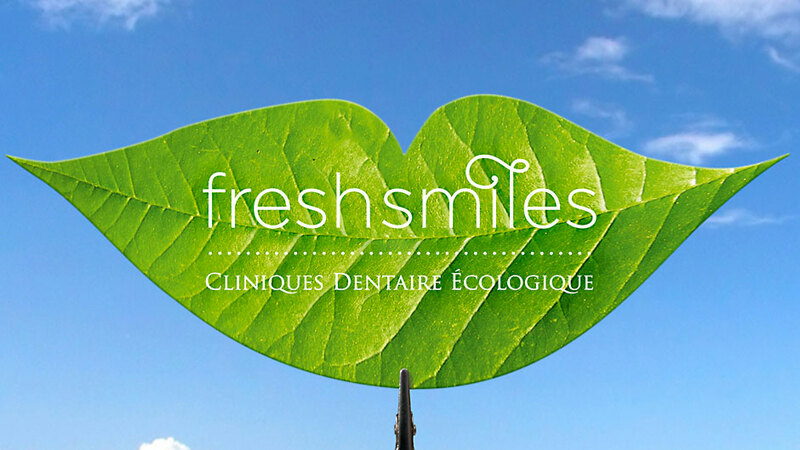 Freshsmiles, is a new dental clinic, preparing to enter the emerging field of ecological dentistry. 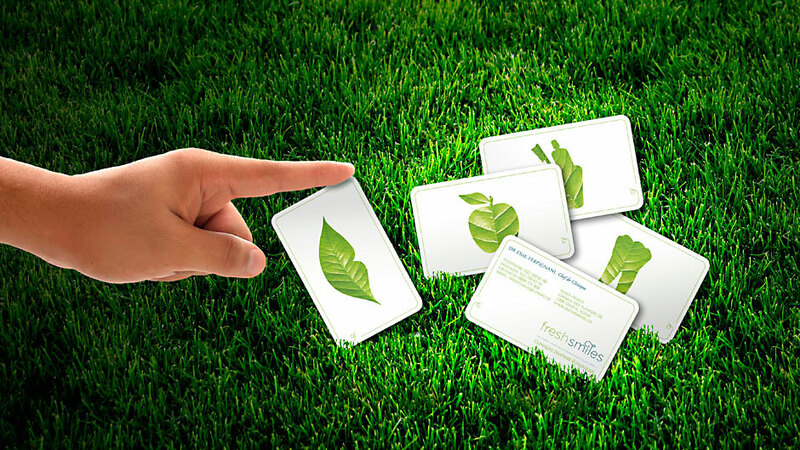 Our research gave us a good understanding of the eco-friendly concept. The brief called for the new brand to be fresh, innovative, well differentiated and of course, clearly express its ecological focus. From start, our creative strategy banned trite visual images that plague the industry, and pushed us to explore novel directions. We started by designing a friendly and reassuring brandmark with a touch of playfulness that we balanced with a scientific, confident looking serif typestyle. 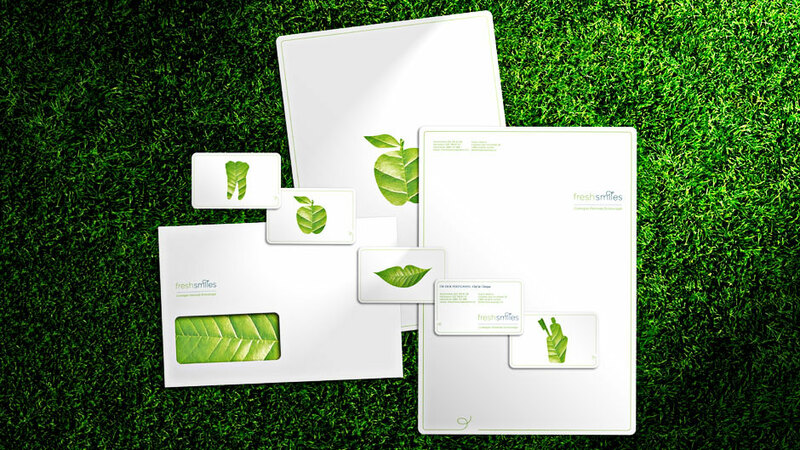 To symbolize ‘ecology’, we settled on the ‘leaf’ as its archetype, and used it for our many preliminary concepts. The winning idea did not emerge until later, while playing with a real leaf, we stumbled upon our breakthrough solution. 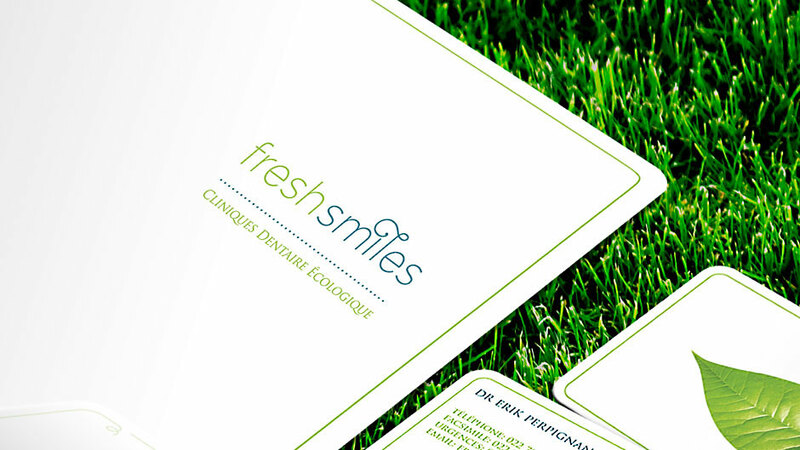 By cutting out leaf-silhouettes of dentistry paraphernalia, we delivered a fresh and highly memorable brand identity.